When he was appointed interim Chief of the embattled Burbank Police Department for six months, on January 10, 2010, Scott LaChasse did not know that this period would prove to be so elastic as to take nearly six times longer. Six months had been Burbank City Manager Mike Flad’s initial intention. At that time he indicated that a nationwide search for a permanent Police Chief would be initiated six months later. In an interview on September 24, 2012, interim Chief LaChasse stated that this appointment of six months was not based on a scientific study. Rather, it was just a number. “Well, nobody at that time, including myself and certainly not Mike Flad nor the five people in the Council, understood the length and breadth of the problem,” stated LaChasse. Considering the fact that a City Manager is entitled to appoint executives within his/her sole discretion, why did Flad choose to embark on a recruitment process instead? Flad effectively contradicted his decision to recruit rather than appoint, when he affirmed that Chief LaChasse had exceeded their expectations and moved the Department to a dramatically better position than prior to his interim appointment. Roy Krakowski, Burbank Fire Chief (2010-present) and Greg Herrman, Community Development Director (2010-present), were also interim, but they were simply appointed. Flad himself was appointed without any recruitment efforts. Dr. David Gordon, City Council Member, mentioned these precedents during the September 11, 2012, City Council Meeting, when he asked Flad why he wouldn’t exercise his right to appoint Scott LaChasse as permanent Burbank Police Chief, despite lavish praise he offered for him. Flad did not respond to the question. None of the other four Burbank City Council Members, namely Mayor Dave Golonski, Vice-Mayor Emily Gabel-Luddy, Jess Talamantes, and Gary Bric provided any clear explanation for the logic either. In fact, Talamantes and Bric were outspoken supporters of the recruitment process. Though the Mayor and the Vice-Mayor tried display neutrality; however, none of them supported Gordon’s request to at least postpone the recruitment process until the there is some clarity with regards to the outcome of the Federal lawsuits. Subsequently, Flad agreed to discuss these issues with me face-to-face, but the meeting never took place. He either postponed or gave notices a little too short for me to attend. However, I had more success in arranging an in-person interview with interim Burbank Police Chief Scott LaChasse in his office. I secured this meeting with LaChasse, a 32-year veteran of the Los Angeles Police Department, to get his perspective on Flad’s unexpected announcement of plans to embark on a recruitment process and his equally unexpected decision to resign about two months later, a week shy of the deadline of the Police Chief Recruitment application. We also discussed the overall situation in the Police Department, its past, present and future in light of the federal and state lawsuits and the changes he had been able to bring about. Dangerous levels of mutual disrespect and distrust among police officers, racial and gender discrimination, outdated policies, failure to catch up with contemporary tools of policing and multi-million dollar lawsuits are some of the major problems LaChasse inherited from the Burbank Police Department when he took office in 2010. The results of the study created great concern in the striking and global levels of mutual disrespect, distrust, and alienation that were apparent amongst personnel and, often, competing components of the organization. Several areas of serious pathology and dysfunction were observed in intra-agency dynamics that have and continue to degrade the performance and functions of Burbank Police Department. Problems within the organization have eliminated any potential benefit from the talent, integrity, and commitment to serve that currently exist in Burbank Police Department personnel, and cry out for long-term enduring and fundamental changes and improvement in how the organization has performed. The data generated in this study raises a number of red flags to decision-makers that organizational pathology exists, reference how members of the organization interact and feel about each other. Survey and interview data were strikingly consistent in describing an agency fragmented to an extent that employees perceive themselves as belonging to disparate and isolated groups, rather than as interdependent numbers of an integrated, unified police organization, all of whom work for the same ideals and goals for the same sense of mission and purpose. The other thing that surprised LaChasse was the lack of females among police officers. He was told that they didn’t have ‘upper body strength’, an outdated argument, which female officers (many of them world class athletes) at other Police Departments have proven groundless. Since his appointment, LaChasse has managed to hire three women as police officers, thanks to his initiative of dispatching Police Department employees to recruit people from various universities, such as California State University, Los Angeles, and California State University, Northridge. On the one hand, the practice of active recruitment is a rather efficient step forward for the Burbank Police Department. The former leadership had to rely largely on those who chose to apply, rather than those whom they wished to hire. On the other hand, the universities are a perfect place to find talented young people that represent every cause, ethnicity and gender, which is a treasure-trove for LaChasse, who is looking forward to boosting diversity in the Department so that it can reflect the diversity of the city’s population. Scandalous lawsuits have already shed light on some of the darkest features of the Burbank Police Department, such as racial discrimination against African-Americans, Latinos and Armenians. LaChasse is critical about the denial among many ‘conflicted’ police officers who refuse to see the dynamics of their own community and to embrace the changes. In an earlier meeting that Silva Kechichian, Chairperson of the Armenian National Committee of America, Burbank, and I had with the interim Chief, I had raised the issue of underrepresentation of the burgeoning Armenian community – comprising about 15% of Burbank’s population – in the Police Department. Today, out of 161 police officers, only six are Armenian. Just like there were stereotypes about females’ inability to make good cops due to physical inferiority, there are also stereotypes about representatives of different ethnic groups at the Burbank Police Department. When LaChasse spoke to a lieutenant about how the Department should reflect the community and, specifically, the possibilities of recruiting Armenians, the lieutenant said it was not going to happen, because where Armenians came from ‘being a cop is not a big deal’. First of all, this is an exaggeration and a sweeping generalization. Secondly, this officer obviously ignores the fact that a sizable part of the Armenian community of Burbank was born and raised in the U.S.
With the purpose of achieving fair representation of the Burbank community, LaChasse has undertaken the initiative of involving youngsters of various ethnic groups in cadet programs, which would serve them as a ladder to eventually becoming police officers. As a result of this and other undertakings mentioned above, officer-initiated activities are up by about 20%. One word which LaChasse used frequently during the interview was ‘contemporary’. “We discovered that nothing here was very contemporary,” he said. Patrols, detectives, the animal shelter were among two hundred items that were identified as in need of improvement. He handed me a voluminous document containing detailed descriptions of the plan of actions and schedules for each item. One of the grave shortcomings of the previous leadership of the Burbank Police Department was the failure to update the various policies. Every Police Department around the country, except Burbank, made changes in their use-of-force policy as a result of the Rodney King incident, according to the interim Chief. Of the two use-of-force policies, the one for deadly use-of-force was last changed in 1989, and the physical use-of-force in 1991. This shows that rather than being contemporary, on a cutting edge, the Burbank Police Department waited for things to happen. And happen they did. Today, who could deny the impact of the failure to update these crucial policies on outbursts of violence, which eventually resulted in scandalous and costly lawsuits? Updating these policies is only a fraction of LaChasse’s broad plan of actions aimed at bringing the Burbank Police Department in line with contemporary nationwide standards. Some of the interim Chief’s tangible changes include the introduction of professional software for crime analysis; predictive policing; firing ten officers and hiring seventeen sworn personnel; involvement of a mental health psychiatric social worker (targeting homelessness-related issues); use of LEO (Law Enforcement Online), FBI’s largest tattoo database; as well as, quicker response time. Changes in the badge, the uniforms and the introduction of new graphics on the police cars are some of the quick and easy improvements. However, more substantial changes, such as eradication of malignant elements long rooted in the culture of the Department, as Dr. Blum had indicated in his report, could take 5-10 years until they could gain solid ground. Many high-ranking officials and officers from around the County disapprove of Burbank’s decision to recruit for Police Chief rather than appoint the interim one. However, not everybody dares to speak out, since all of them are working their way up. “They are risking to piss people off,” said LaChasse. Another incumbent Police Chief chose to address LaChasse privately. He wrote that he was interested in the position. He had watched him over the years manage important transformations in the Burbank Police Department and had the highest regard for his leadership. The man assured LaChasse he would absolutely refrain from applying for the job provided that the latter was interested in staying. LaChasse refused to confirm whether he did apply for the position; however, near the end of our conversation he said he would like to carry on with his reforms as permanent Chief of Burbank Police. David L. Maggard Jr., President of California Police Chiefs Association in 2011, came up and thanked LaChasse every time he saw him because he was getting feedback for all the meaningful things that have happened. However, he has so far abstained from making public statements about it for probably the same reasons as stated above. Who is interested in this sudden change mid-stream? During the City Council Meeting on September 11, 2012, City Council Member Dr. David Gordon gave a vague clue as to why Flad had preferred to embark on a recruitment process rather than appoint LaChasse: “It’s gonna take guts to do it, because there are people who, perhaps, don’t want the Chief to continue for various reasons. I am not going to suppose what they might be.” Flad, Golonski, Gabel-Luddy, Talamantes, and Bric did not comment on this. “It’s probably the Union folks,” LaChasse guessed. He thinks the influence comes from the Union, which, he believes, would like to get rid of him and his team and have their own selection of people. The Union is believed to have enough power to affect the outcome of the upcoming election of three City Council members. Therefore, it can also impact the decision-making of the incumbent City Council members who would like to keep their seats. The Union and the Burbank Police Officers’ Association are believed to have convinced most of the current Council Members that they could not get re-elected without their endorsement. And the price would be getting rid of the LaChasse team. More specifically, LaChasse spoke of ‘a handful of conflicted people,’ who have pushed forward the recruitment initiative. He alluded to an undisclosed source as saying that all decisions are made by a clique, not really voted on, encouraged by the entire Board of Directors. Now that Burbank City Manager Flad is resigning to take up the same position in the smaller city of South Gate, the recruitment process has been frozen but not cancelled. It may take up to eight months before the process is unfrozen. Since the driving force behind the idea of recruitment appears to be the Union, rather than the departing City Manager, the latter’s successor may have to dance to the same tune and reignite the recruitment process. What if LaChasse is replaced by a new Burbank Police Chief? What will the consequences for us, the regular taxpayers of the City of Burbank, be in case the crucial process of the Burbank Police Department revitalization is shaken by the replacement of the leadership which has already proven to have made positive changes? Of course, no one can exclude the possibility that the new Chief and his/her leadership could be a better choice. But why try our luck if the current leadership has been recognized by many authorities to be doing very well? I asked Scott LaChasse what the consequences of the interruption of reforms could be. He believes that the continuity of reform has so far kept the Federal Government from imposing a consent decree on the City of Burbank. 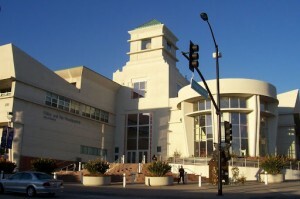 If the City of Burbank and its Police Department fail to adopt and implement proper management practices and procedures to eliminate the practice of unconstitutional or otherwise unlawful conduct, the Federal Government may impose a consent decree on the City of Burbank in an effort to force positive change. In practice, the Burbank Police Chief would continue to run the Police Department, but they would be under the control of the Federal Court, and the Federal Judge would appoint what is called a monitor. The Chief would actually be reporting to the monitor, and not to the City Manager. The Los Angeles Police Department has had this bitter experience. A consent decree was originally signed for 5 years, but was eventually extended by a couple of years. Should a Federal consent decree be signed, who would pay for it? Burbank’s taxpayers will have to pay for the regulation, the salaries and the bills of the entire staff. “And I keep telling people the reason we’re making the changes that we are is because it is the right thing to do. Not that we’re doing it to please the Federal Government,” said LaChasse. LaChasse believes that a consent decree has not yet been enacted, because the Burbank Police Department has been transparent, has readily indicated the existence of problems and taken decisive steps to ensure lasting solutions. 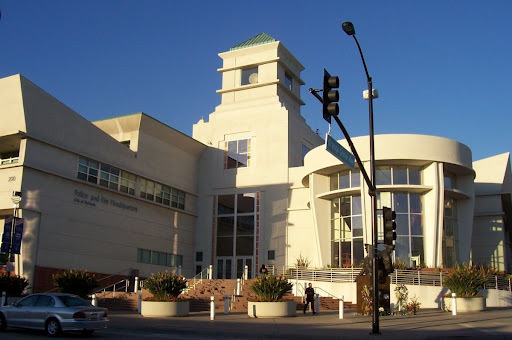 However, if the Federal Government sees a lack of resolve, on the part of either the Burbank Police Department or the City of Burbank, to carry out meaningful change, they may have to reevaluate their current stance on issuing a consent decree. Replacement of the current leadership of the Burbank Police Department, widely recognized for its dedication to implementing proper transformations, will be a clear signal to the Federal Government about lack of resolve, as well as an omen for the Burbank taxpayers to open their pockets wider. Ara K. Manoogian is a Burbank resident and owner of Magnolia Park Lock Shop. He is the creator of www.thetruthmustbetold.com, a fellow of the Washington, D.C.-based think-tank Policy Forum Armenia, as well as a volunteer at the Armenian National Committee of America-Burbank.